Evergreen Coastal, a green wall product from Evergreen Walls was used in a unique application for a home in Victoria. Evergreen’s green wall panels were used as a kitchen splashback. 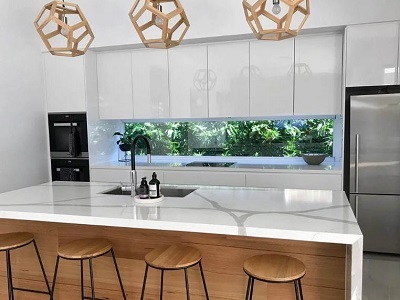 Kitchen window splashbacks are a great way to get extra light into the room; however, you can sometimes end up looking directly at a wall or a fence when a little greenery would have helped. Evergreen’s modular green wall panels provide an instant solution and are easy to install on any wall surface.